It's that time of year. 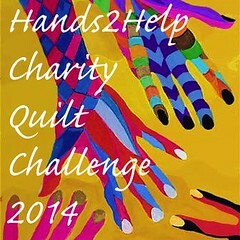 The annual Hands2Help Charity Quilt Challenge hosted by the fabulous Sarah of Confessions of A Fabric Addict. This time last year I was knee deep in making a boatload of quilts...2 for the school's annual silent auction fundraiser, 1 for a new baby and 4 for the teacher end of year thank you gifts so I wasn't able to help out with this challenge last year. But I'm definitely participating this year. Since I've got a few other projects on the burner, I know that whatever I plan to do, they must be fast and relatively easy. 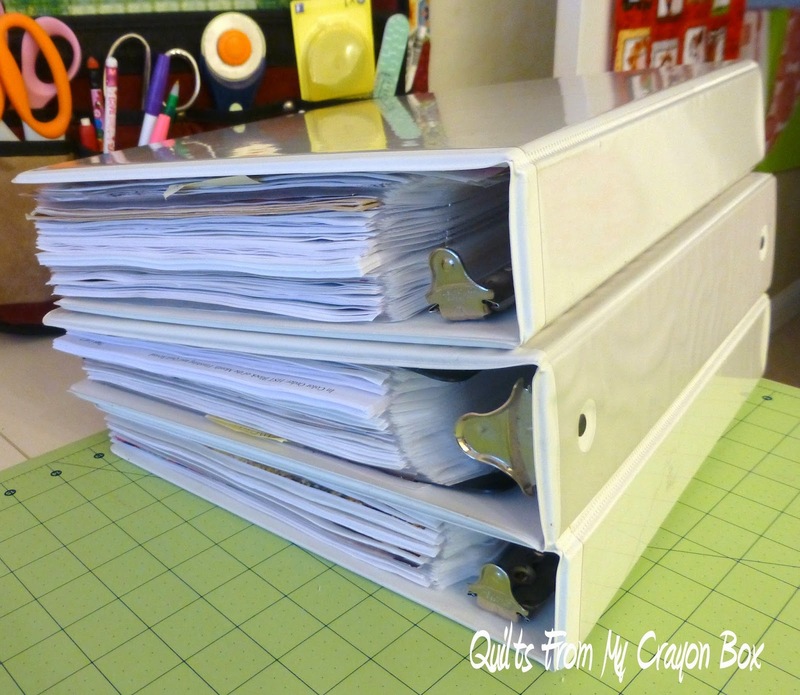 I started where I typically do at times...flipping through my 3 binders of patterns purchased, downloaded from the internet and saved from magazines, for some ideas and inspiration. Using a pattern designed by someone else is definitely faster than designing one myself. 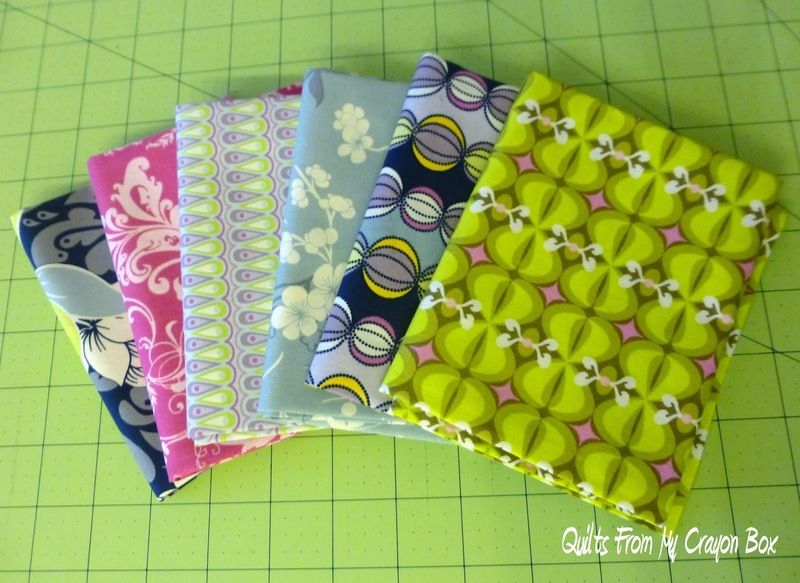 I pulled out a stack of options and then took a look at what fabrics I already have to work with. 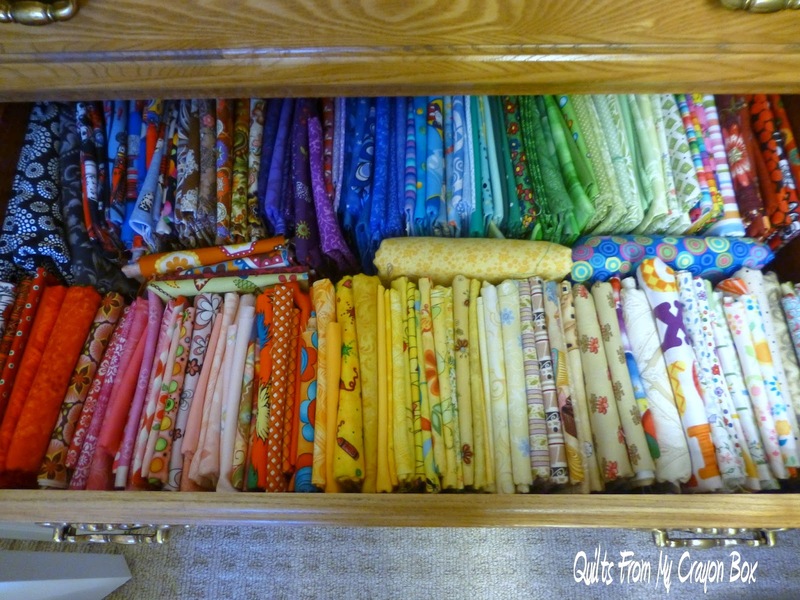 This is the precut and coordinating bundle ﻿drawer of my stash dresser. 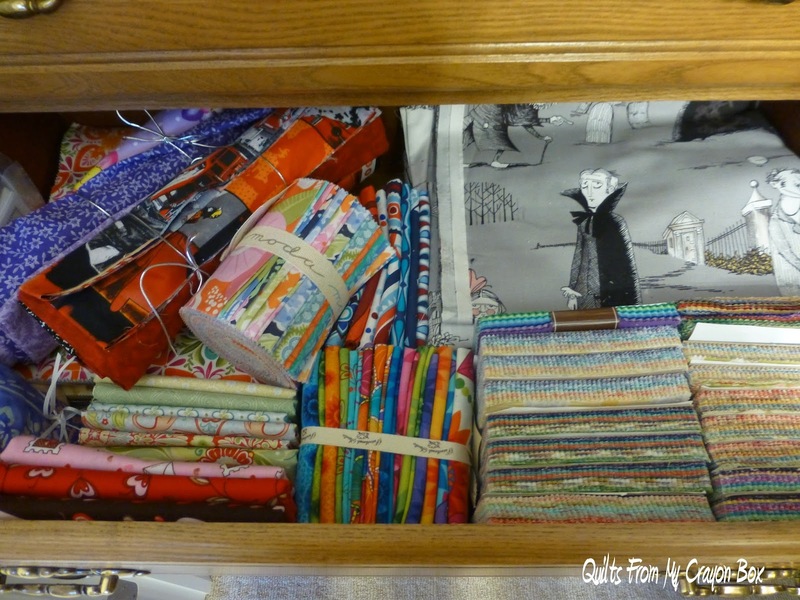 And this is my general stash drawer filled mostly with fat quarters and half yard cuts.﻿ I'm not even showing you the final fabric drawer filled with Asian prints, my Halloween fabrics and my small amount of Christmas fat quarters. 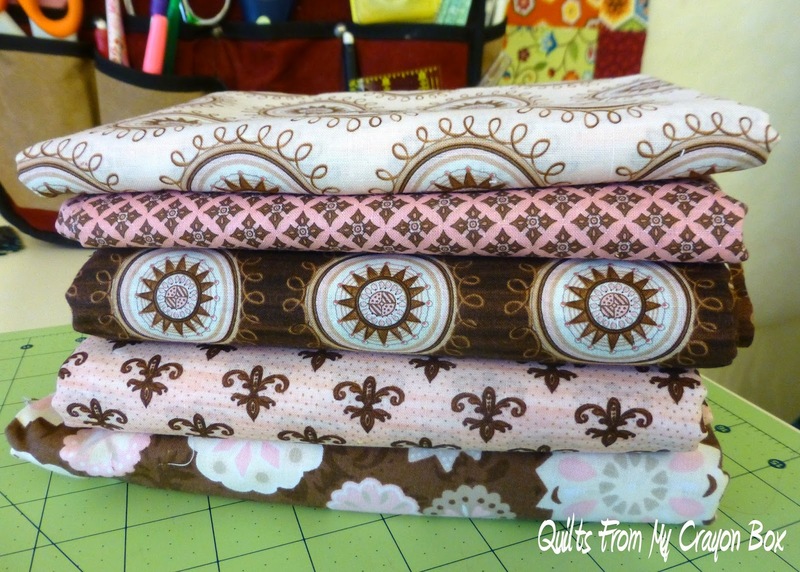 This fat quarter bundle that I recently won from Heidi at Red Letter Quilts is also going to be turned into a quilt to send off to one of the charities. I was able to hunt down on Etsy the remainder of the fabric needed and it is already on its way to me. 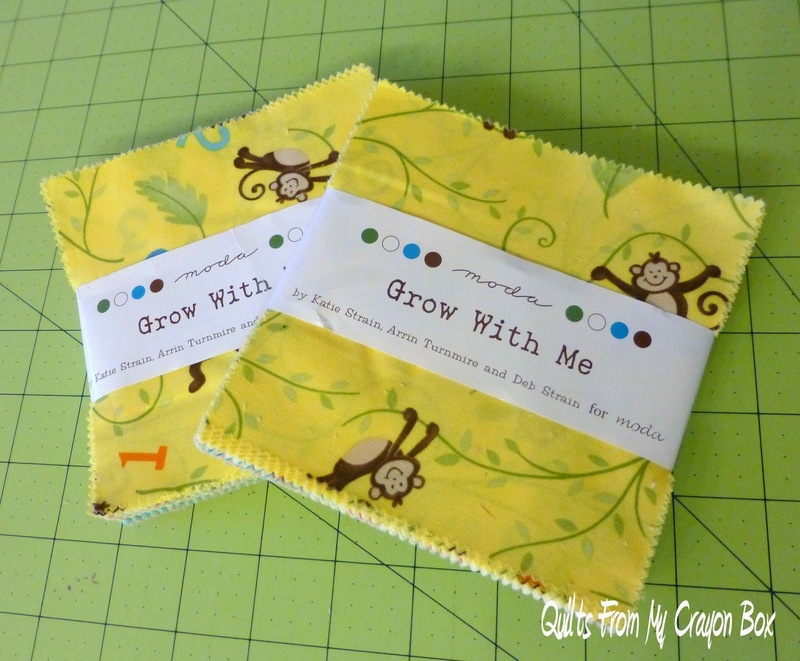 I can't think of a better way to Pay It Forward from this giveaway win than to use them for a charity quilt. I had originally purchased them to make a baby girl quilt for a neighbor but I ended up giving her the Dots in the Wind quilt instead. Keep your fingers crossed for me that the quilting gods will shine down on me and I'll be able to whip these up speedy quick. And I'm going to quilt them myself on Penelope. 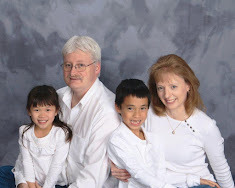 If you aren't aware of the Hand2Help Charity Quilt Challenge, hop on over to Sarah's place and read up on all the details. 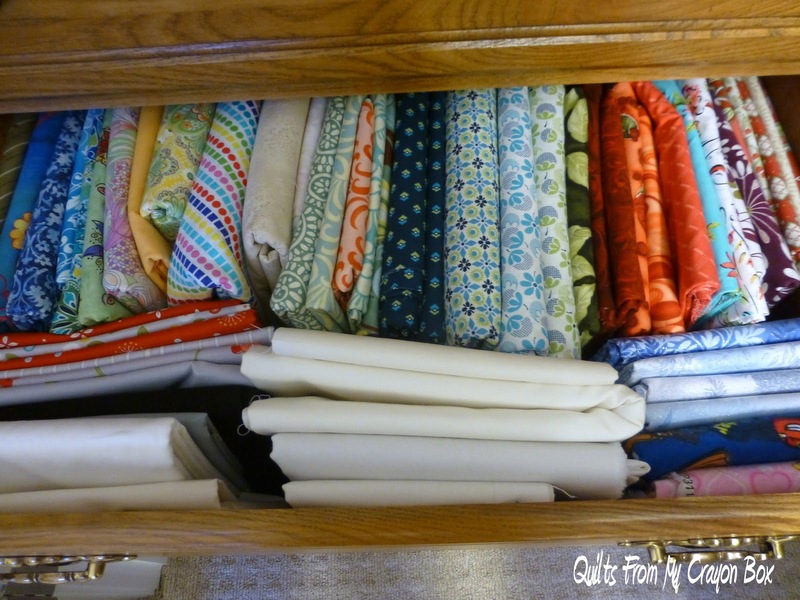 It is a fantastic way for quilters to give back and it doesn't take much to participate. Just commit to making 1 quilt (or more if you are able) and send it off to one of the featured charities by the June deadline. We all have UFOs or miscellaneous blocks laying around waiting for a reason to get finished so now is the time to dig them out and turn them into a beautiful quilt to keep someone else warm and wrapped in love. You can do it - keep it simple and keep it fun. I know you can achieve these finishes!!! Once you get "rolling" it will be a "piece of cake"!!!!! Look forward to seeing your finishes.......and 'Penelope's' quilting!!!!! Thanks for the great shout-out, Michele! 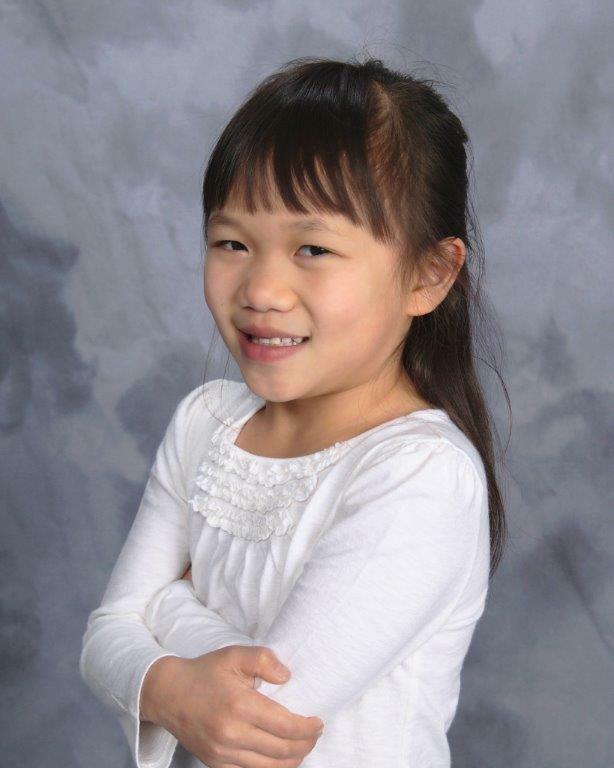 I'm so glad you'll be participating in the Challenge this year! 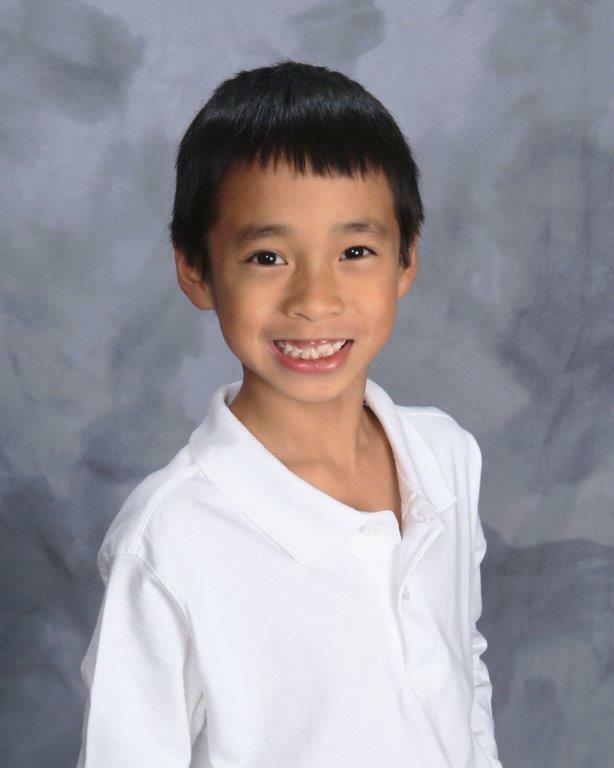 Awesome post for H2H. 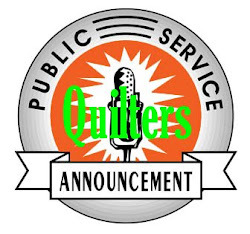 We will all be cheering you on and I know you can make all the quilts.